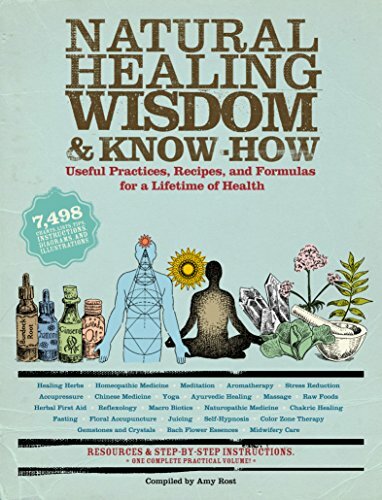 Natural Healing Wisdom & Know-How gathers useful and fascinating information on every practice of natural health and healing in one handy volume. The chapters here are organized by topic, including herbal healing, naturopathy, homeopathy, Eastern medicine, energy healing, mind-body healing, and healing with foods. Information within these chapters includes various methods and techniques for managing and curing hundreds of ailments, as well as for maintaining a healthy constitution year-round. Natural Healing Wisdom & Know-How is one of the most comprehensive resources available, offering information about and treatment for hundreds of ailments and covering nearly every aspect of natural and alternative healing.